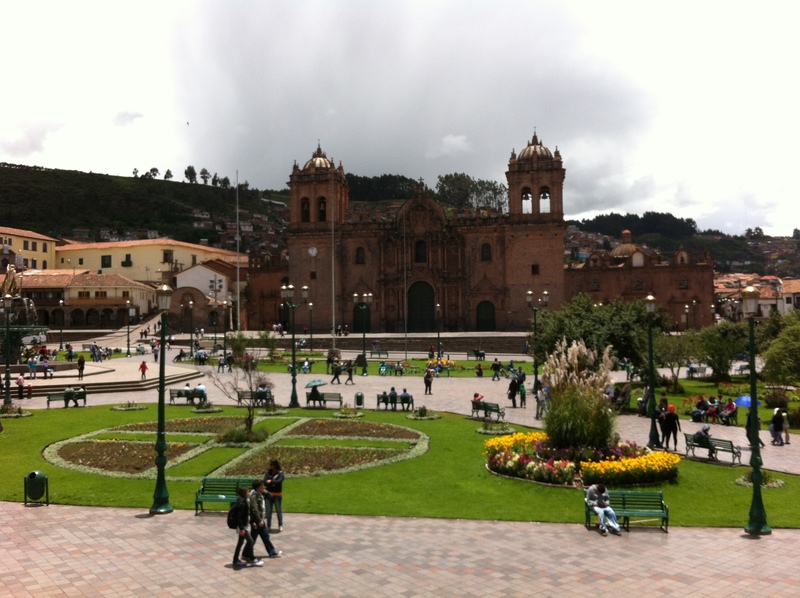 The Inca capital of Cusco has a lot to offer for visitors. Take a tour into the history of the Incas at Sacsaywaman and Q’enqo. 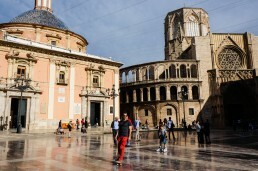 Enjoy the great restaurants and food culture and try some new tastes. Admire the literally breathtaking views while sipping a cup of a traditional tea made of coca leaves. 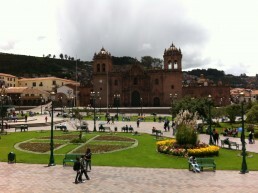 After traveling over 24 hours straight we arrived in Cusco in the afternoon. I was in a pretty bad shape after the worst descending of my entire life. During the last hours of our Trans-Atlantic flight, I caught a pretty bad migraine which made me feel really sick before landing in Cusco. It was a total nightmare. But I think I’ll always remember how ashamed I felt because I’ve never felt sick on any flight before – not even on a domestic flight in Nepal which can be really harsh! I also hope that I never have to experience the same again. Landing in the over 3300 m above sea level also didn’t much help my headache. We bargained a taxi from the airport on a pretty fair price and arrived smoothly to our hotel near the Plaza de Armas, Unaytambo Boutique Hotel. 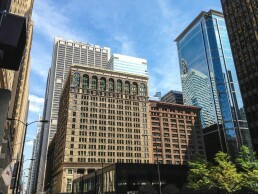 We had the best room of the hotel, on the 2nd floor with a working fireplace, and after we had got our stuff settled the first thing was to get some much-needed sleep to recover from a headache and to adjust our bodies to the new altitude. Before going to sleep, we enjoyed our first cups of the original, recovering coca tea (from the original, dried coca leaves). At some places, the coca tea is made from Mate de Coca tea bags, but the real thing is made from the coca leaves! We also drank an enormous amount of water. Hydration is crucial in high altitudes like this! After “a little 5-hour nap”, the headache was gone. Instead, we experienced to be a little out of breath all the time, but that was to be expected. It wore off in a couple of days when our bodies adjusted to the new altitude. That proved to us though that all the warnings about the AMS (acute mountain sickness) were to be taken really seriously! After all, these were some of the mild symptoms of AMS. You have to know yourself well so that you can recognize if the symptoms go worse because then it can get really dangerous! For a cure, we drank more coca tea because it helped our bodies to acclimatize. The ancient Incas really did know what works best. 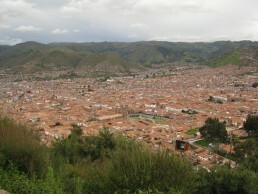 Below is Cusco. On the horizont there are the Andes. 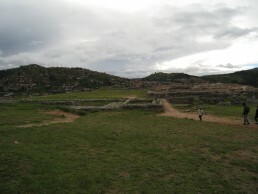 This is taken from Sacsaywaman. 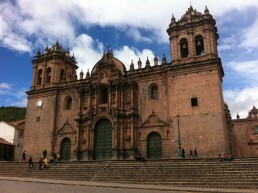 A church at Plaza de Armas, Cusco. 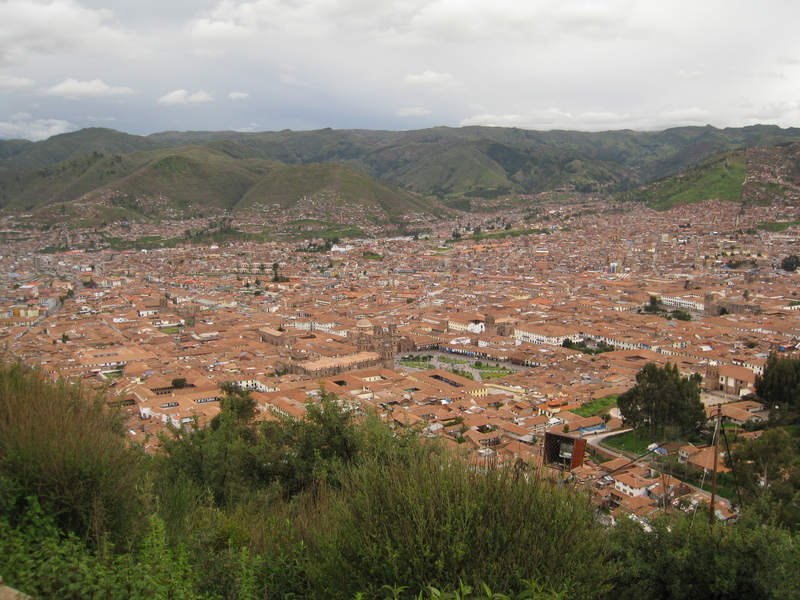 Cusco is a compact place, and you’ll need a taxi only if you’re going somewhere further away from the town. You can walk to almost everywhere. When grabbing a cab, always negotiate the rate with the driver beforehand and always bargain for the price! You really don’t have to pay three times as much as the locals pay, but it’s up to your haggling skills. My strong advice is that learn at least the numerals in Spanish – it’ll go a long way when bargaining! Also always use just the official taxis – they have a sign on the roof telling the name of the company and the telephone number. There are -of course- also ”black” taxis, but they might be a bit dangerous to use and why take unnecessary risks when you don’t have to? However, Cusco is a safe place in general. The people are friendly, and the vendors aren’t as pushy as in many other places. Just saying ”No, thanks” once is usually enough and they’ll leave you alone. We never felt insecure in any way. Just use common sense when roaming around and you’ll be okay. Though when going to the ATM to withdraw some cash, it’s a good habit to be a bit more ”alert” than usual and just pay more attention to your surroundings. But that’s all. 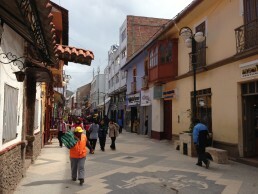 Walking around Cusco is also a bit of training every time you go out. There’re so many stairs in the town which you’ll climb up and down many times a day. At the evening your calfs will know that you’ve done some serious high altitude climbing. And because Cusco is located in over 3300 m above the sea level, your lungs will have to work more efficiently, too. 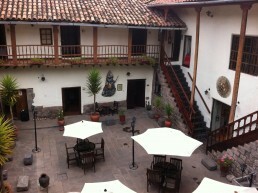 The inner yard of our hotel is Cusco. Plaza de Armas, Cusco, Peru. 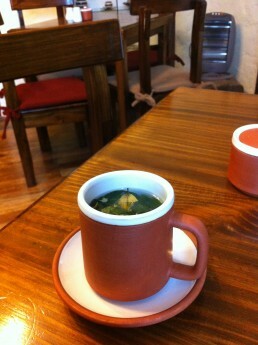 A cup of AMS relieving tea made out of coca leaves. It’s recommendable to buy the ”Boleto Turístico” when you’re in Cusco (this is the “Cusco tourist ticket”) because you can buy it only from here. It costs 130 Soles (at the time of publishing this post), but you can access all the major sites in the nearby areas with this ticket. To some of them, there aren’t even tickets sold on the sites, so you gotta have this Boleto Turístico to enter. You can buy it i.e. from : Oficina Ejecutiva del Comité, Av. Sol N° 103, (Open: Mon-Fri 8 am to 5:30 pm & Sat from 8:30 to 12:30) or OFEC Branch Office, Calle Garcilaso s/n (open: Mon-Sat 8 am to 5 pm & Sun 8 am to 8 pm).  Also, many of the private travel agencies in Cusco sell it, but they can take some profit, so you could end up paying more than 130 Soles. Check some additional info from the official pages of the Peruvian government. Also, note that the entrance to the Qorikancha Santo Domingo is not included in the boleto turístico. It’s an additional entrance fee of 10 Soles to go in there. Qorikancha Santo Domingo has been built onto the old Inca ruins and inside you can still see some of these old, Inca walls and constructions which have been preserved. Then again a part of these walls can also be seen on the outside of the church itself, so it’s not mandatory to go inside. Included in the boleto turístico is a little bit bizarre museum which is also a bit tricky to find. It’s the Museo de Sitio del Qorikancha. 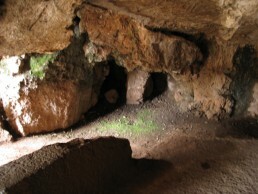 It’s located on the Avenue del Sol, but it’s hidden below the street level. It’s tiny and smells of mold but why you should go there is that there are three Royal Inca mummies included in the exhibition. 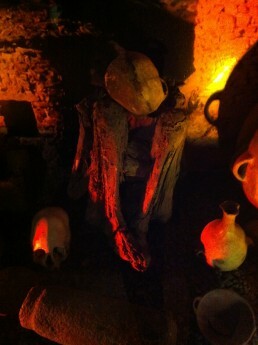 And they were actually the best mummies we saw during our whole stay in Peru! So don’t miss them out! A royal mummy at Museo de Sitió del Qorikancha in Cusco. 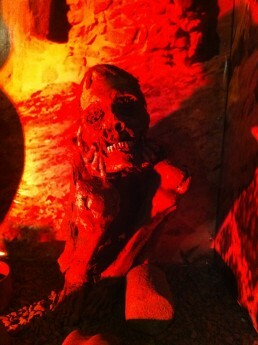 One of the three royal mummies at Museo de Sitió del Qorikancha in Cusco. 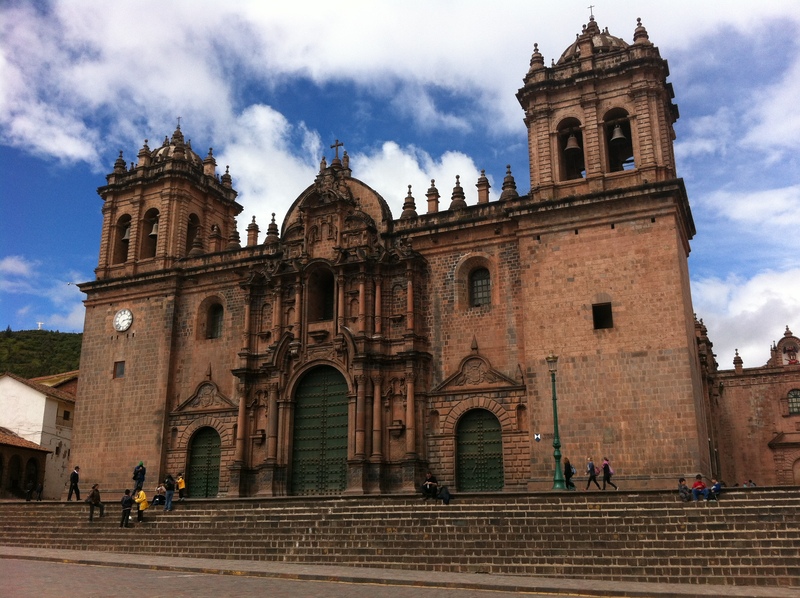 When you’re in Cusco, don’t forget to make day trips and visit the many sights outside the downtown area. We visited the Inca ruins of Sacsaywaman and Q’enqo on separate days, but they’re located very near each other so you can visit both of them on the same day if you want. They are very different kind of Inca ruins with a different atmosphere so I’d recommend going on separate days so that you’ll have enough time to explore both without hurry. Of these places, Q’enqo is the most interesting one. It’s a place where the Incas held various kinds of death rituals and some legends tell that they even sacrificed humans in Q’enqo. The altar in the picture below was one of the most sacred and exciting places in the caves. 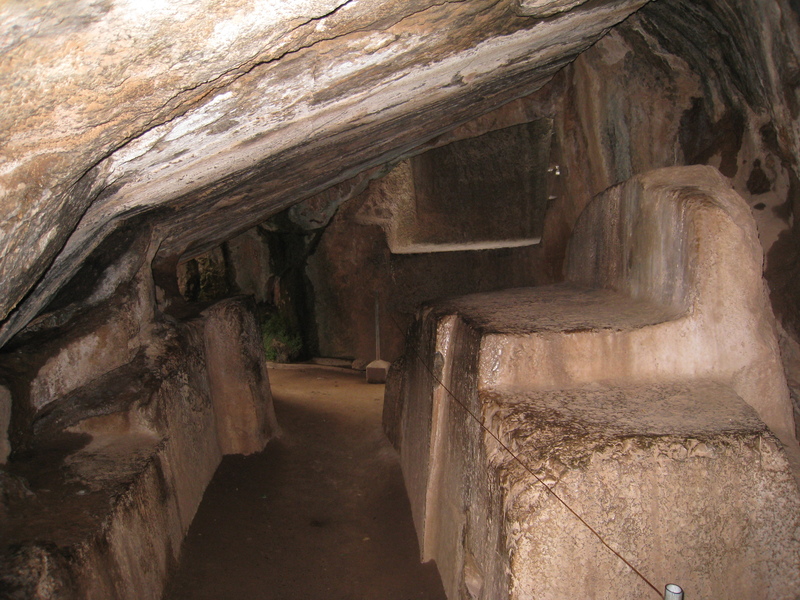 The Quechuan language name ”Q’enqo” means a labyrinth or a zigzag. And there really is a carved track zigzagging down in the stone. 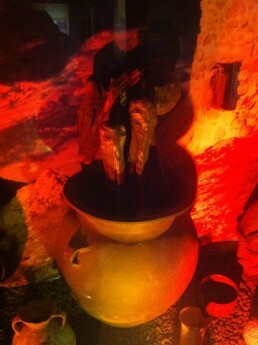 What has been flown down the track in the ancient times – holy water, chica, or blood – remains a mystery. Even the archaeologists haven’t been able to tell. The temple of Q’enqo is dedicated to Pacha Mama (Mother Earth) which is one of the strongest and holiest deities in Peru and present even in the hustle of the modern day life of the local people. Q’enqo have once been a particularly holy place for the Incas. And maybe because of this, there was this very peculiar atmosphere hanging in the air. The stone altar in Q'enqo, near Cusco. 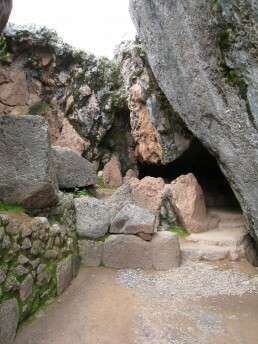 A stone cave in Q'enqo. 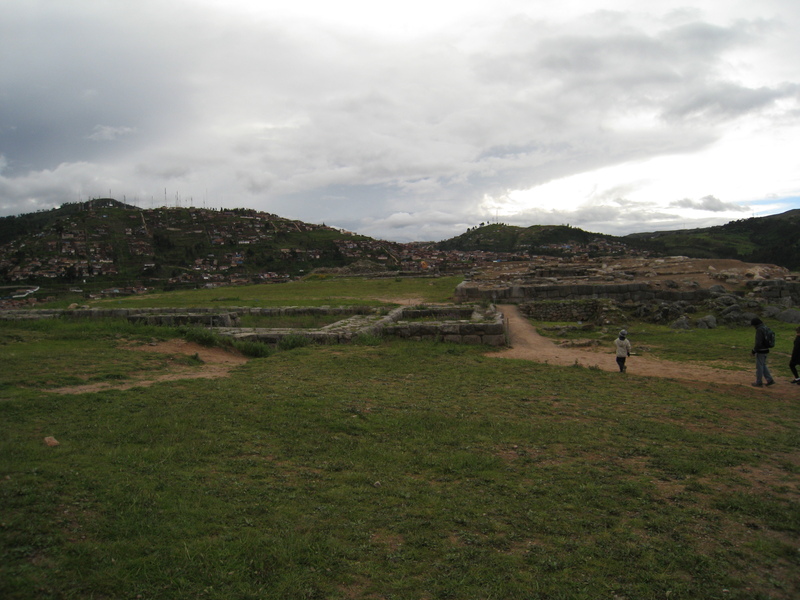 The Inca ruins of Q'enqo. 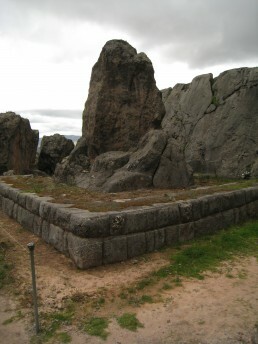 A holy Inca shrine of Q'enqo, near Cusco, Peru. Sacsaywaman, on the other hand, is a bigger Inca ruin and visited by many tourists. 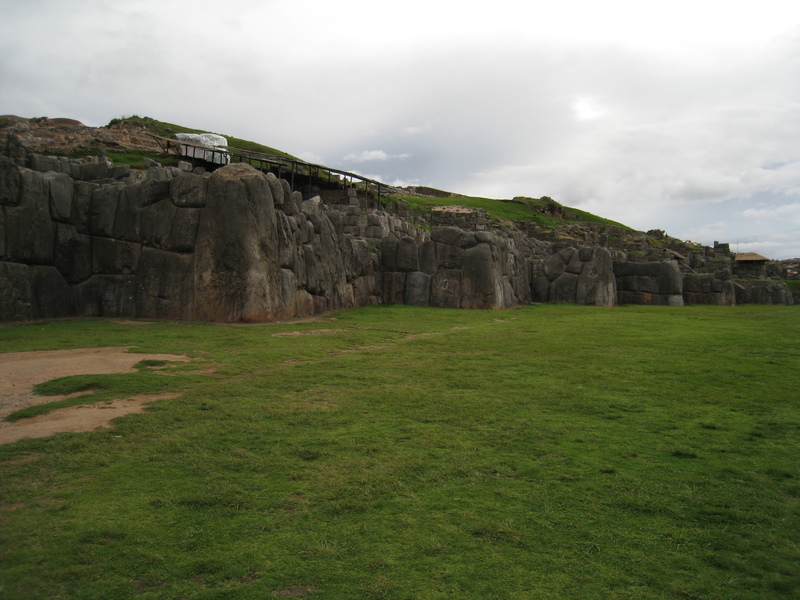 In Sacsaywaman there remain many brilliantly built structures of the Incas. You cannot but admire their architecture and engineering work. Still, there aren’t as interesting things to see as there is in Q’enqo, neither is the history of the place as interesting. But nevertheless do not miss to see Sacsaywaman, either. 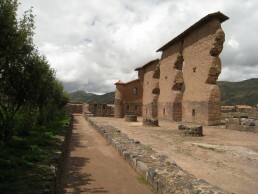 Other possible day trips from Cusco includes a trip to Pisac with its famous marketplace and ruins. The busiest market day there is Sunday (with lots of other tourists, too) but nowadays there are markets also held on Tuesdays and Thursdays. If you’d like to visit a marketplace less crowded by other tourists, then go to Chincero. We stopped by over there on our driving journey from Cusco to Ollantaytambo. It is a very nice, little place. At he Inca site of Sacsaywaman in Cusco. At the Inca ruins of Sacsaywaman. From Cusco, we continued our Peruvian tour by a bus to Puno and towards the world’s highest located lake, Titicaca. Many bus companies are driving the route, but we had booked tickets to the Inka Express. 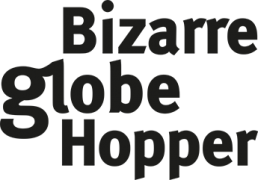 This was the best company at the time of writing this post with the greatest reviews and also with the best-conditioned busses. The journey will take about 10 hours so having a comfortable seat will pay itself back. You can also take a domestic flight from Cusco to Puno, but I recommend taking the bus instead. Puno is located in ~ 3830 m above sea level (~ 470 m higher than Cusco) and ascending several hundred meters too quickly can be bad for you. Also, the bus stops in many beautiful places on the way, and you’ll see much more during the trip than you would by flying. A TIP FOR THE ROAD: Even though there’s said on the Inka Express’ website that water and coca tea are included in the price, in reality, there’s only one(!) little bottle of water provided and coca tea is from tea bags (not from original leaves)! So buy at least enough water to take with you! Also buying some snacks and nuts from a grocery store isn’t a bad idea!